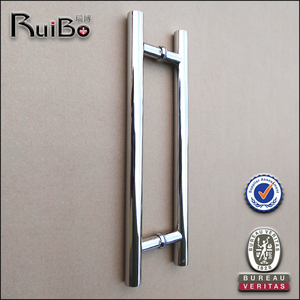 Finish Polish, Satin, Titanium Material Stainless steel304/201 Size Customized Price Fob or Exw competitive price Payment term T/T, 30% as deposit, balance should be paid before delivery Package 1pcs in a polybag and 1 box Related Product Packing & Delivery Our Company If you want know more about the H shape stainless steel pull push glass door handle o r other products, pls feel free to contact us. 3 YRS Foshan Winlin Stainless Steel Co., Ltd.
Q2. Can you provide samples for us9 A. Q5. What if problems happen to the products9 A. You may send pictures or samples to us, and then we will analyze the problems and give solutions. 1 YRS Zhaoqing Welcharm Hardware Products Co., Ltd. 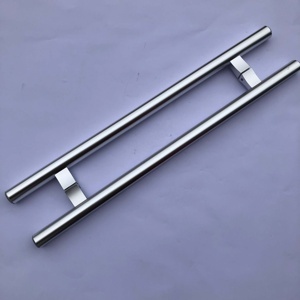 In order to focus on the quality of glass door handle at the same time, the installation of glass door handle will directly affect its beauty. 2. 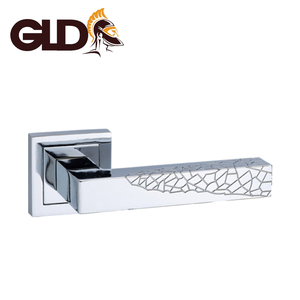 Before install the glass door handle , we can spread on some glass cement in the glass door hole. 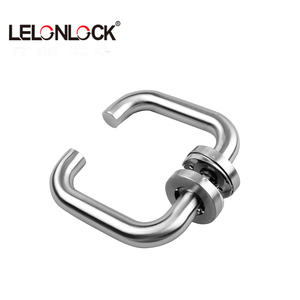 When the handle is assembled, the root of the handle is tightly pressed by the glass, and then presses the fastening screw to ensure that the handle is not loose. 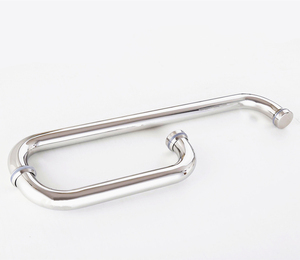 Alibaba.com offers 4,313 push pull handles products. 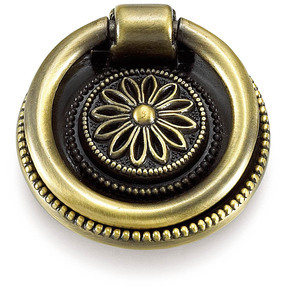 About 38% of these are furniture handles & knobs, 30% are door & window handles, and 1% are locks. 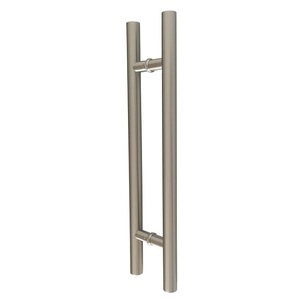 There are 4,313 push pull handles suppliers, mainly located in Asia. 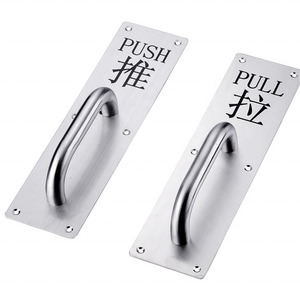 The top supplying country is China (Mainland), which supply 100% of push pull handles respectively. You can ensure product safety by selecting from certified suppliers, including 1,035 with ISO9001, 984 with Other, and 164 with ISO14001 certification.